This is the ‘song’ of the St Matthew’s clock as it chimes the quarter hours. Through countless hours down the centuries this church has guided the parishioners through good times and bad, the momentous events in our history and the daily toil of everyday life in this English rural village. 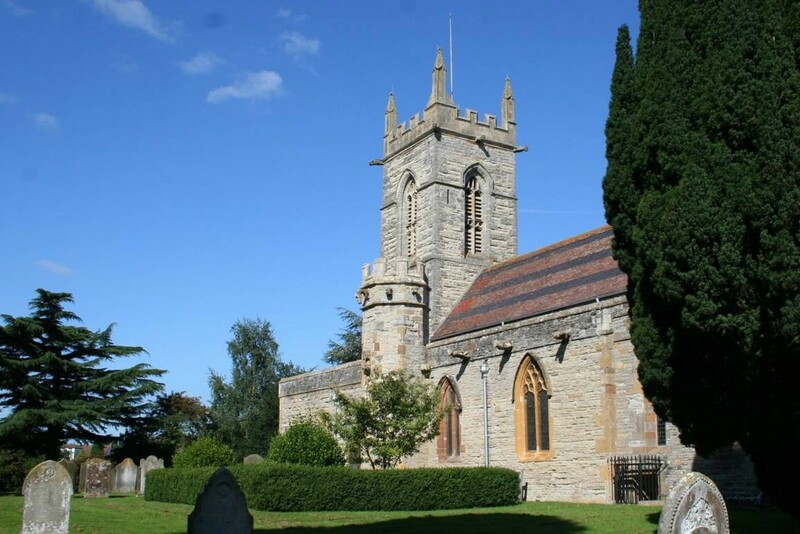 Welcome to St Matthew’s – a church where God has been worshipped since the days of the Norman conquest and probably before that… We know for certain that the church is mentioned in William the Conqueror’s great survey of in 1086, known as the Domesday Book. The entry tells us that the church and lands of Salford Magna had been given to a nun, Levitha, who later bequeathed it to the Augustinian priory at Kenilworth (hence the village’s original name of Priors Salford). 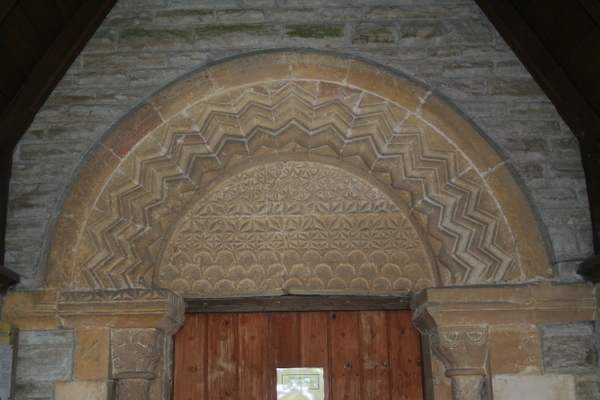 The Norman influence can be seen from the moment you enter as above the door is a typical (and magnificently) carved stone arch with different patterns. It is protected by a Victorian porch with wrought iron gate which was put there to keep out the sheep! 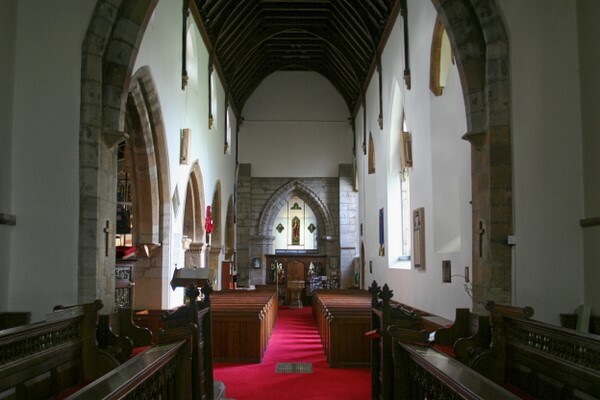 The main aisle (the nave) was the original structure of the church which the monks decided to enlarge at the end of the 12th century. They extended the church at the side (south) and the square stone pillars supporting the 12th century Romanesque arches are part of the original Norman church wall. The monks also extended the church east. Another feature of interest is the large ‘flamboyant’ window in the centre of the north wall of the nave. ‘Flamboyant’ describes the Gothic architecture popular in in the 15th and 16th centuries and this window is one of only about twelve to be found in England. Do not miss the elaborate 17th century memorials near the altar to various members of the Clarke family, including infants whose early deaths remind us of how many children in previous centuries did not reach adulthood. 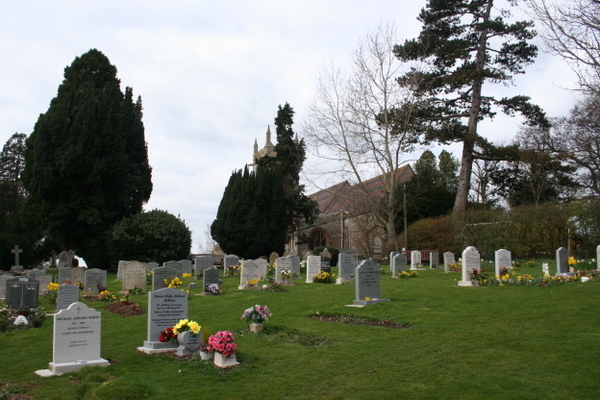 Don’t leave without exploring the beautiful churchyard which will give you an opportunity to enjoy the entertaining medieval gargoyles and the unusual semi octagonal tower which may have been a beacon tower to guide travellers across the (often) flooded meadows and rivers Arrow and Avon. There are eight bells in the tower which have rung out across the village since the early 18th century reminding us all of God’s constant presence.